DWTS Juniors: Mandla Morris & Brightyn Brems Have Super Fast Feet With a Jive – Watch Now! | Brightyn Brems, Dancing With The Stars Juniors, Mandla Morris, Television, Video | Just Jared Jr.
DWTS Juniors: Mandla Morris & Brightyn Brems Have Super Fast Feet With a Jive - Watch Now! Mandla Morris and Brightyn Brems have the best expressions for the premiere of Dancing With The Stars Juniors on Sunday (October 7). The 13-year-old son of Stevie Wonder, and Brightyn, wowed with a gorgeous jive, set to “Land of 1000 Dances” by Wilson Pickett. Mentored by Cheryl Burke, picked up 24 points out of 30 for their first ever performance. Remember, you can’t vote from home as the show was pretaped, but def spread your love for the team on social media using hashtag #TeamCheryl! Miles Brown & Rylee Arnold Make Grand Entrance For 'DWTS Juniors' Finale - Watch Now! 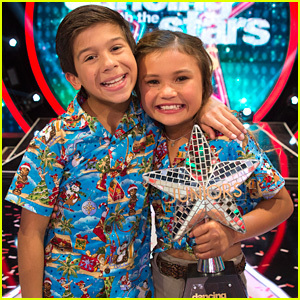 Who WON The First Season of Dancing With The Stars Juniors'? Find Out Here! 'DWTS Juniors' Kicks Off Finale With Holiday Performance - Watch Here! 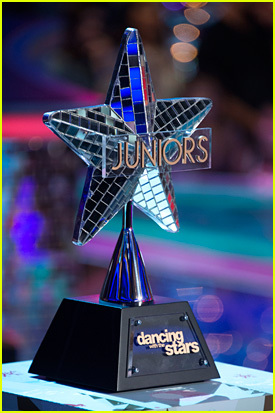 'DWTS Juniors' Trophy Revealed - See What It Looks Like Here! 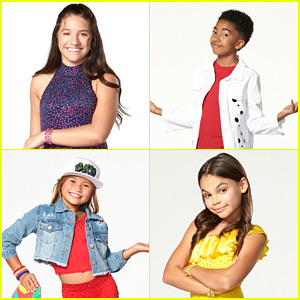 'Dancing With The Stars Juniors' Season 1: Who Will Win? Take Our Poll Now! Who Went Home on Dancing With The Stars Juniors' Week #8? Find Out Here! Mackenzie Ziegler & Miles Brown Were Amazing In Their Team Dance on 'DWTS Juniors' Semi-Finals - Watch Here!